Mimosa chinensis Osbeck; Albizia stipulata (DC.) Boivin; Albizia marginata (Lamk) Merr. ; Acacia stipulata DC. Albizia presents small to fairly large trees, from 35 up to 50 meters. Usually branchless for up to 20 meters, reaching diameters of 100 to 150 cm. 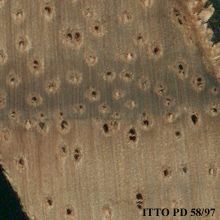 Heartwood pale brown to dark reddish-brown or golden-brown with paler streaks and bands, sharply demarcated from the white to straw-colored sometimes very wide sapwood. The response of this wood in sawing is fair to difficult. 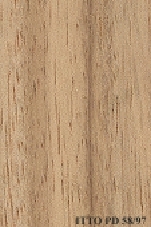 The wood is suitable for the production of veneer, sometimes even for decorative veneer. The wood is somewhat difficult to work with machine tools. The wood tends to pick up in planing. The wood tends to pick up in molding.